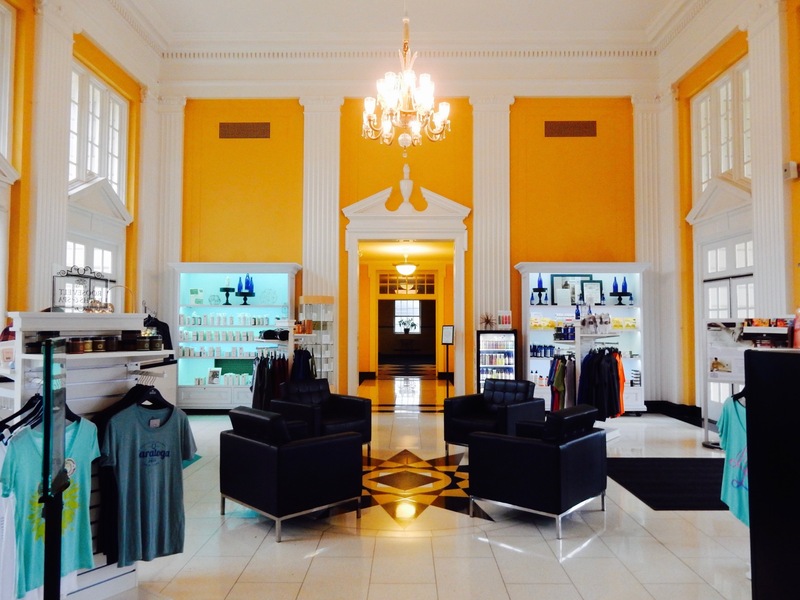 WHY GO: Saratoga Springs NY is the country’s very first spa town. Health seekers have been coming here to “take the waters” since the mid 1800’s, and thoroughbred horseracing soon followed. 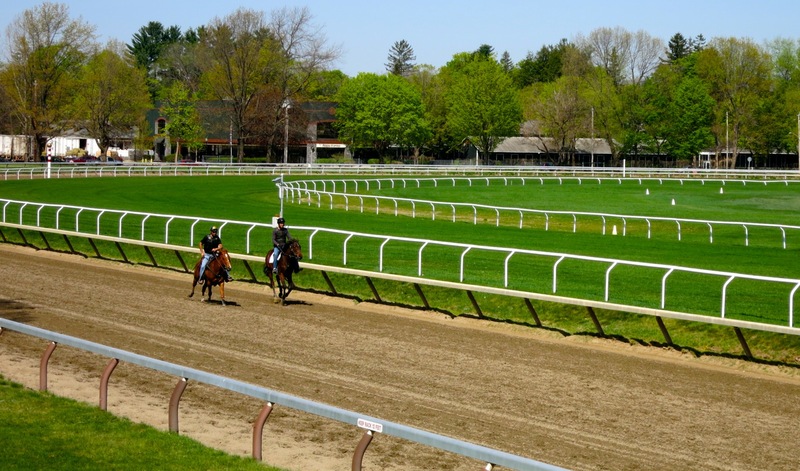 The Saratoga racetrack, mentioned in Carly Simon’s song, You’re So Vain, is so distinctive, it served as a film set for The Horse Whisperer and Seabiscuit among many other movies. As a Victorian-era resort, Saratoga Springs attracted families of color to work in the resorts and casinos, and it happened to be where Simon Northup, author of the memoir, Twelve Years A Slave, was living when he was kidnapped and sold into slavery down south. Home to Skidmore College, Saratoga Spring’s downtown has a youthful upbeat vibe, with dozens of restaurants, a great newly renovated historic luxury hotel and yep, “the waters.” Here’s the inside scoop. SEE: Saratoga Race Track. This is the nation’s oldest thoroughbred racetrack, and even if you don’t follow horse racing, you’ve heard about it. That’s because Carly Simon sang, “I hear you went up to Saratoga, and your horse naturally won….” in her hit song, You’re So Vain. Racing season runs six weeks from the last week of July through the first week of September, and you’ll pay dearly for tickets and lodging during that time. Come off-season, though, and you can still get a feel for the ponies as they train. Enter Gate 15 and ask for the Whitney Viewing Stand – a solitary Adirondack-style elevated platform that can hold about a dozen viewers. Open only Saturdays and Sundays, 7am-11am, free. 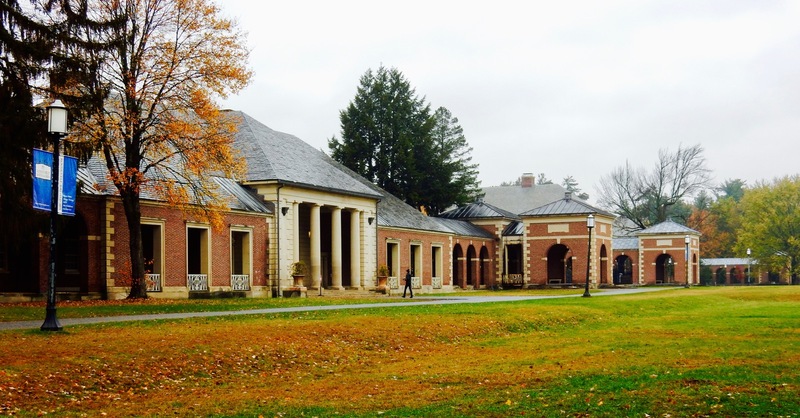 DRIVE/PROCURE WATER: Saratoga Spa State Park. 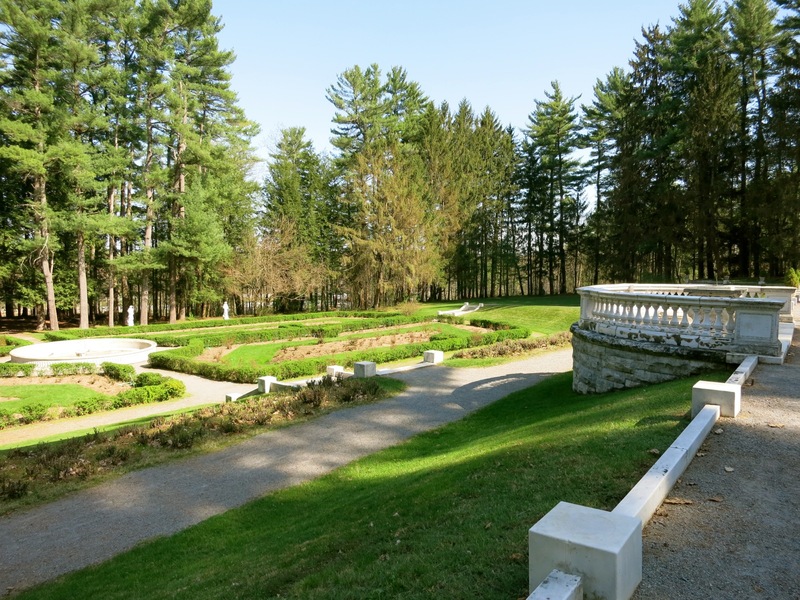 Conceived by FDR for his New Deal, the Saratoga Spa State Park encompasses 2,300 acres containing bathhouses, two golf courses, two museums (Dance and Auto), pools, tennis courts, a Performing Arts Center and the Gideon Putnam Hotel. 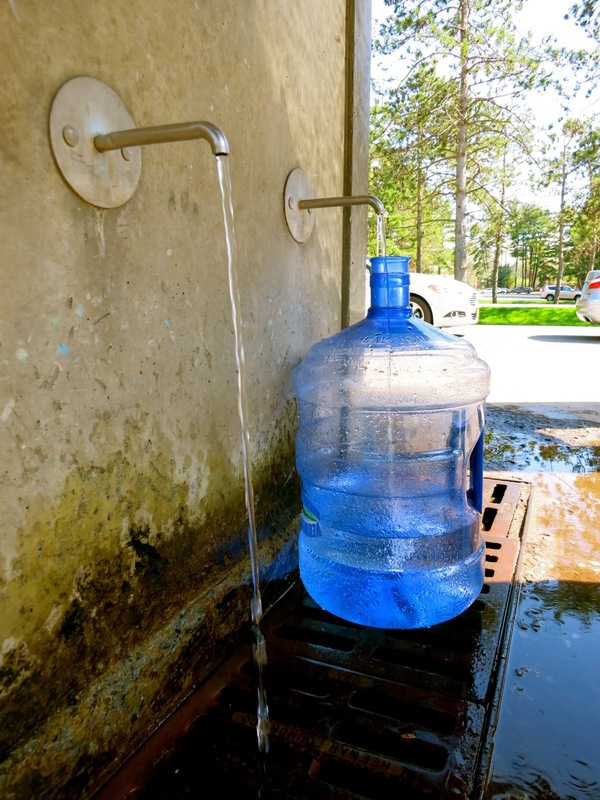 It’s also where several springs are located with faucets oh so convenient for filling up one and five-gallon jugs with clear Saratoga Spring Water. You can’t miss these special fountains –there are generally lines of people waiting with empty containers. Join the crowd, even if all you want is a splash from yours hands for a taste. SPA: Roosevelt Baths in Saratoga Spa SP. 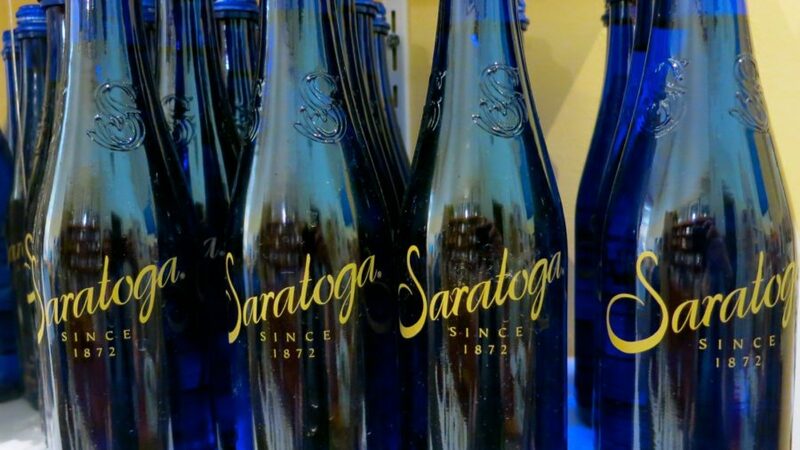 Indulge in the strange but pleasant sensation of a warm and tingly effervescent soak in the mineral water that gave Saratoga Spa its name. 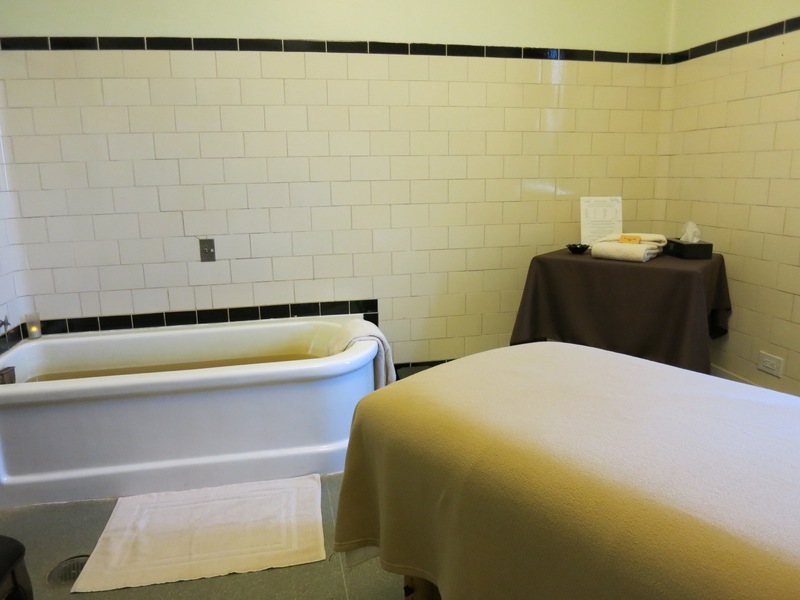 You can settle into a deep bathtub in a private room for 40 minutes for only $35. This includes the use of a robe, sauna, and a wait in the stunning “relaxation room.” “It’s like bathing in warm champagne,” says a repeat customer. Before or after your soak, take a taste of the famous restorative mineral water from one of two water fountains in the bathhouse (the other is clean spring water). Not to all tastes, but certainly worth a sip. Open daily 9am to 7pm, 40 minute soak for only $35, check website for other treatments. HIKE: Saratoga State Park. There are miles of woodland trails within this massive park, so join the local dog-walkers in the woods either before or after a spa treatment or soak. 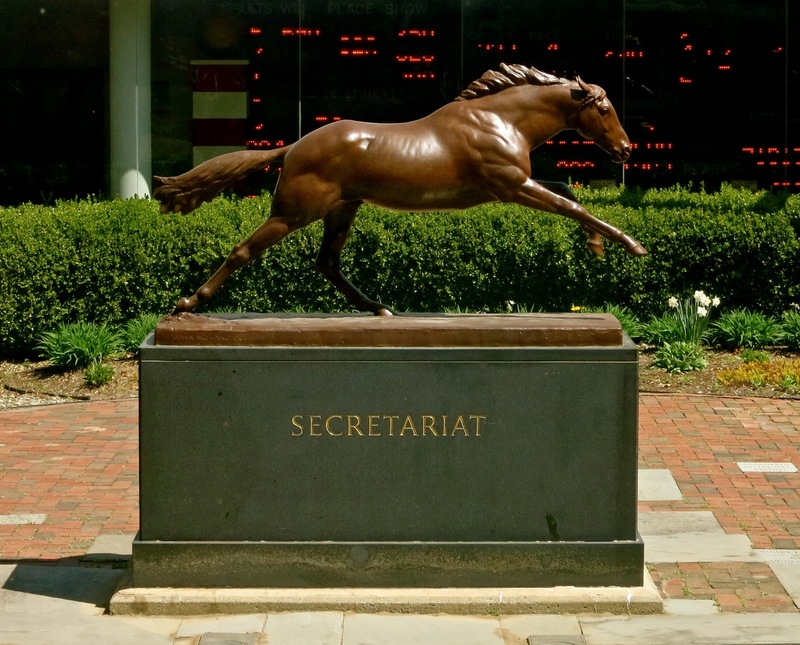 VISIT: National Museum of Racing Hall of Fame: Walk past the statue of Triple-Crown winner, Secretariat, through an actual starting gate, into the main part of this cool museum to learn that in 1863, before the end of the Civil War, Irish immigrant, John Morrissey, brought thoroughbred racing to Saratoga NY. Horseracing was nothing new – it came to our shores from Europe with the colonist in 1660’s and was a regular event from Virginia to New York. But after WWI, the racing world expanded and remains one of the only sports where women and men race together under equal conditions. 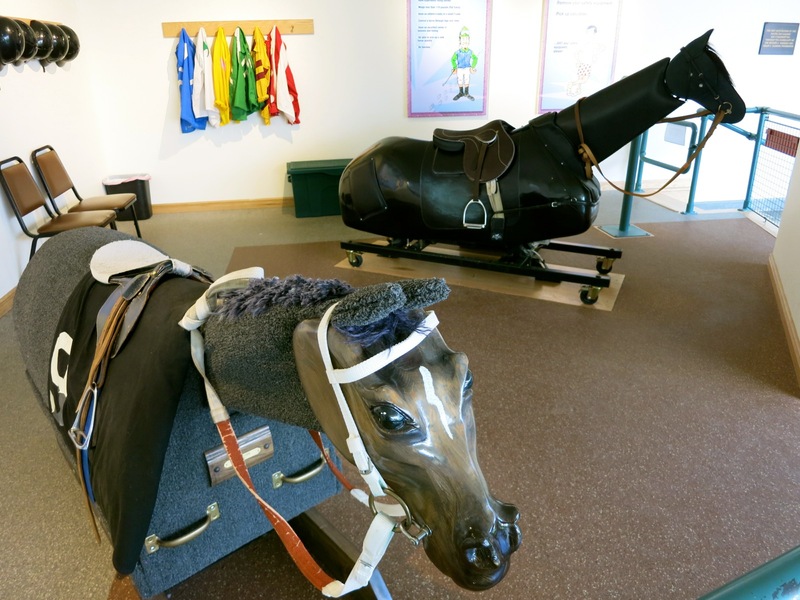 Try out the popular “Racing Simulator,” a mechanical horse synchronized to move with jockey-cam videos, which provides a rare chance for visitors to feel what it’s like on the track. Used by actual jockeys-in-training, you’ll be required to don helmet, safety jacket, goggles and boots (supplied). If you are thinking about becoming a jockey, you must be a) a horse-rider, b) under 116 lbs, c) small framed, d) have excellent balance and most importantly e) fearless. 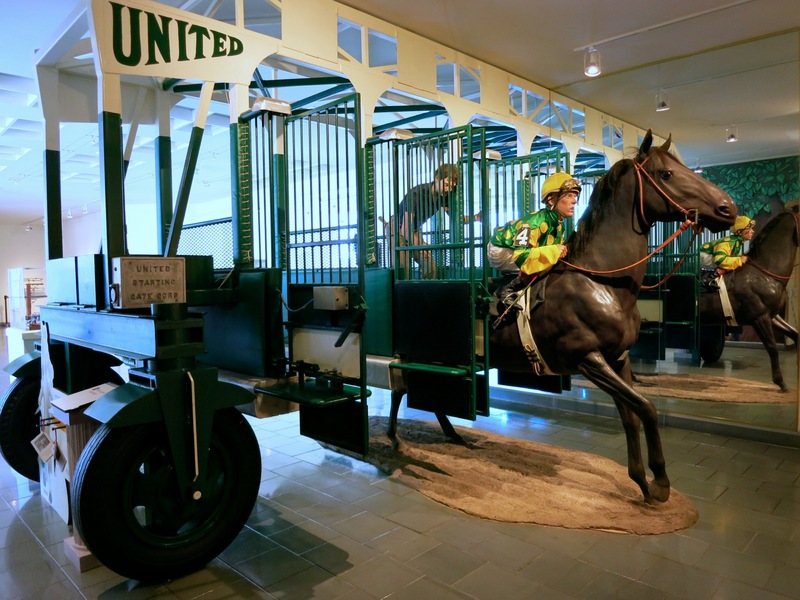 Museumgoers might be surprised to learn that there were only 11 Triple Crown Winners (horses and riders who swept the Kentucky Derby, the Preakness, and Belmont Stakes) between 1899 and 2014. Three races within five weeks will test the mettle of any horse – and its nearly impossible for one thoroughbred to win all three. The 1970’s seemed to be Golden Years for the Triple Crown, with Secretariat winning in ’73, Seattle Slew in ’77 and Affirmed in ’78. Until June 6, 2015, there had not been a Triple-Crown winner since 1978: But crazy-fast American Pharaoh had the heart, physique and determination to sweep all three competitions – an historic win. Open Wed-Sun 10-4, Racing Season daily 9-5, $7 adults, $5 kids. 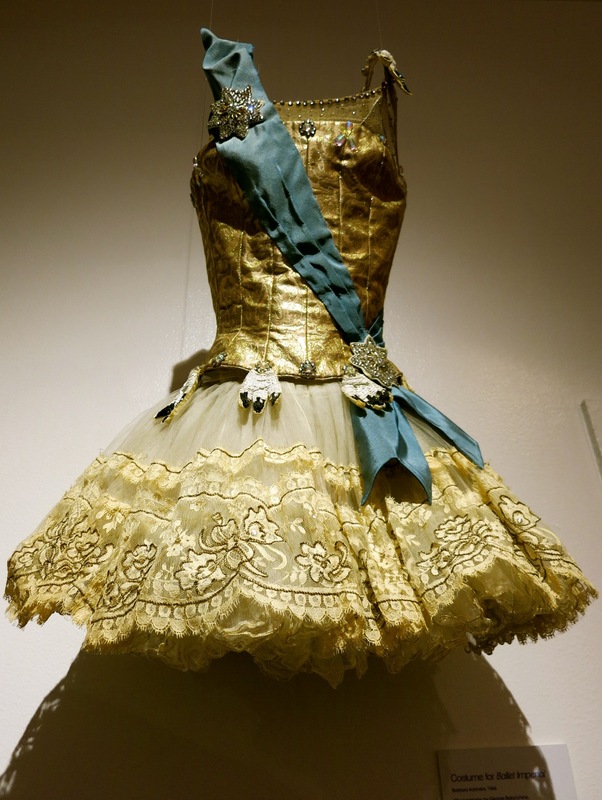 VISIT: National Museum of Dance and Hall of Fame. Even if “dance” is not your thing, you’ll be entranced by this dynamic museum that celebrates the art of movement in all of its forms. 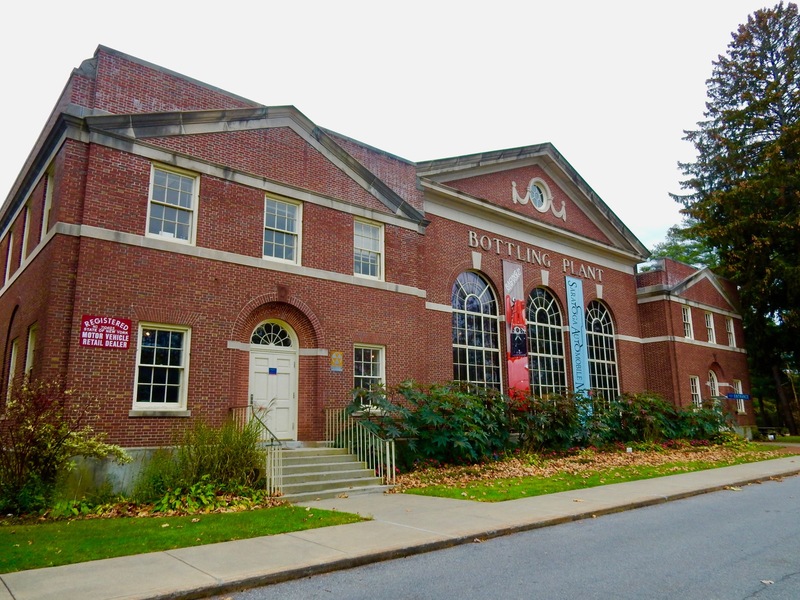 The Museum opened in 1986 in the 1918 Washington Bath House, and showcases fantastic multi-media exhibits featuring household names – Gene Kelly, Tommy Tune, Bob Fossee, Jerome Robbins, Fred Astair, Martha Graham, Michael Jackson, and even John Travolta – hoofing it up on stage and in movies. All involved in dance get due respect here – from choreographers, costume designers to critics, and yes, dancers. Open Tues-Sat 10-4, Sun 12-4, $6.50 adults, $3 kids. 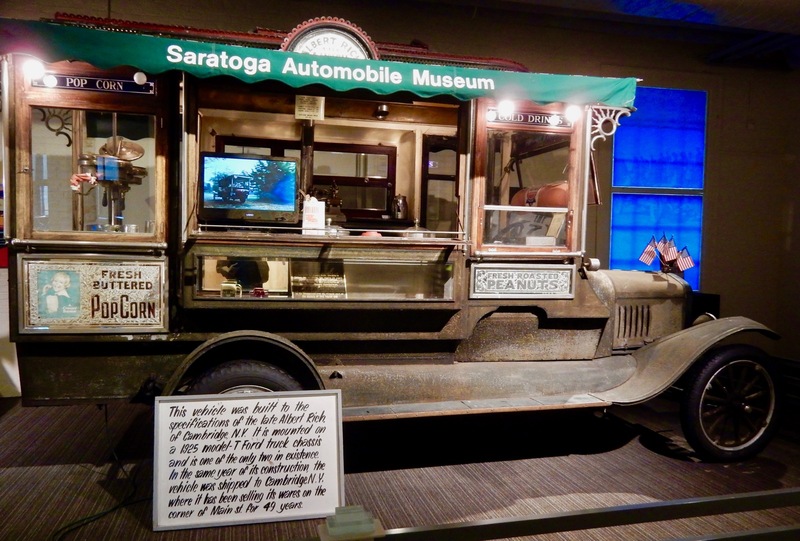 VISIT: Saratoga Automobile Museum. Stand before the crushed remains of a Port Authority K-9 Bomb Detection Police Jeep, used by David Lim and his canine partner, Sirius, on 9-11. Lim survived, but his trusty dog, Sirius, died in the line of duty. You’ll see vehicles both poignant and cheeky in this intriguing, bite-size, and very accessible antique auto museum – located in the former Saratoga Natural Mineral Waters Bottling Plant within the greater Saratoga State Park. Make a point to spend at least half an hour here to see cars and trucks in two floors of galleries that don’t overwhelm. 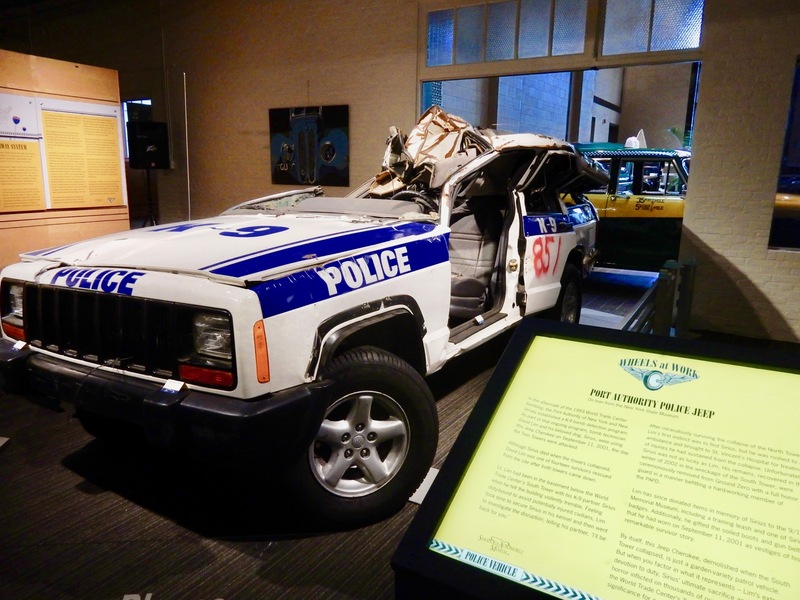 The ground floor hosts a changing exhibit of historic cars and trucks, including, in October 2017, the above-mentioned police jeep. A 1925 Model T Ford truck chassis – kited out as a popcorn/peanut wagon – takes center stage. Bid on and lost by Jay Leno, a friend of the Museum, the Popcorn Wagon is one of SAM’s prized possessions. There’s a 1965 Checker Taxi Cab, a 1946 Chevy Suburban seemingly twice the size of its current model, a 1929 Model A Mail Truck, and other pristine vehicles in an exhibit that changes every 6 months. Several permanent exhibits are upstairs including Racing in New York and East of Detroit: the latter showcasing the profusion of “custom coach builders” in New York during the dawn of the automobile (e.g Pierce Arrow in Buffalo). The Auto Museum is proudest of its Safe-Driving Initiative for school groups and teens, utilizing state of the art simulators that show real consequences of distracted driving – principally, of texting while at the wheel. 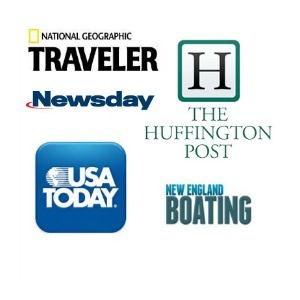 (75% of teen drivers admit that texting while driving is “common among their friends”). The “Distracted Driving” program is so crucial to first responders these days, the Saratoga Sheriff’s Department trains here as well. Open Tues-Sun 10-5, $8.50 adults, $6 seniors. 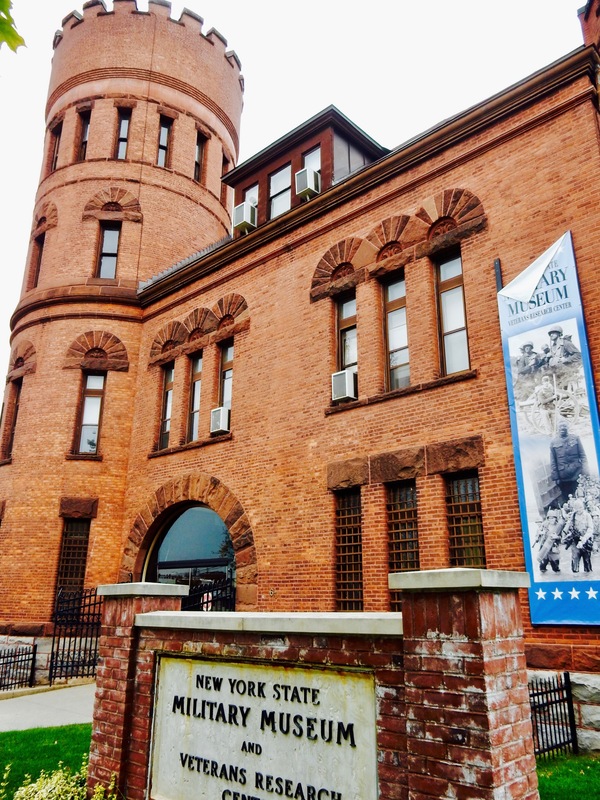 VISIT: New York State Military Museum and Veterans Research Center. Whether you’re interested in Military History, Women’s history, African-American History or even graphic art from 100 years ago, this impactful museum has something for everyone. Starting with the Revolutionary War’s Battle of Saratoga through the war in Iraq, the NYSMM focuses on and pays tribute to New York State’s contribution to the country’s military history. 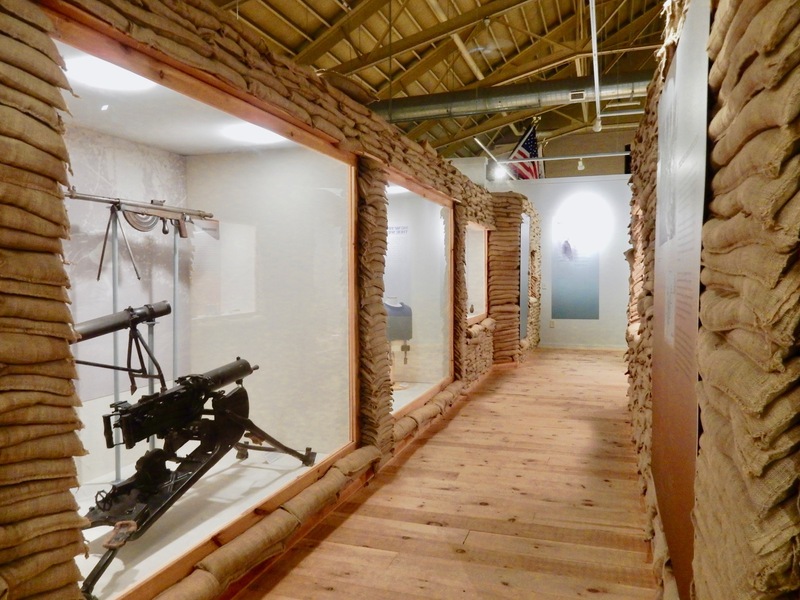 Situated in a former National Guard Armory (until 1989), initially built for the 105th Infantry Regiment, the Museum’s well-planned and fascinating exhibits begin with “A Call Not Unheeded” – telling the story of NY’s Militia and National Guard from 1792-1916 – with glass cases full of documents, like a 1825 Muster Notice, and swords, uniforms, cannons, fancy helmets, weaponry, statues, trophies and newspaper clippings. In the Civil War exhibit, there’s more on Dr. Mary Walker, born in Oswego NY, who graduated from Syracuse Medical School in 1855, attempted to enlist as a surgeon for the Union side, and was rejected. As her story is further told at the National Museum of Health and Medicine in Silver Spring MD, Walker saved lives as a volunteer, was captured by Confederate forces after crossing enemy lines to treat wounded, imprisoned as a spy, and, at the end of the war, was the only woman ever to be awarded the Medal of Honor. The WWI exhibit, which begins in a makeshift sandbag trench, is particularly engrossing. During WWI, gas masks were used for the first time, “trench foot” was a concern, and Liberty Bonds – which became War Bonds by WWII – were issued to raise money for the military. 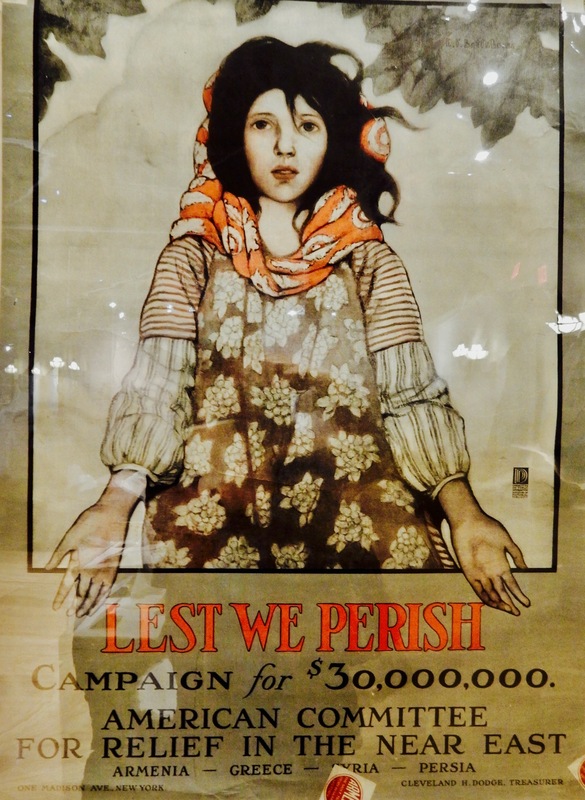 Posters on display here include one headlined “Lest We Perish” – a $30 million fundraising campaign in 1918 by the American Committee for Relief in the Near East to help rebuild wartorn Armenia, Persia, Greece and Syria. American sentiments have sure changed in 100 years. The 2,000 strong 15th NY Infantry – an all-Black National Guard Division assembled in 1916 – fought so bravely in France during WWI, they came to be known as the Harlem Hellfighters. The 77th out of NYC, made up of immigrants from all over the globe, was called the “Melting Pot Division.” The WWII exhibit features a whole section on WACS (Women’s Army Corps) and WAVES (Women Accepted for Volunteer Emergency Service) – often forgotten branches of the military. You can spend several hours here reading everything, but plan on at least an hour, even if military history is not your thing. Open Tues-Sat. 10-4, free. 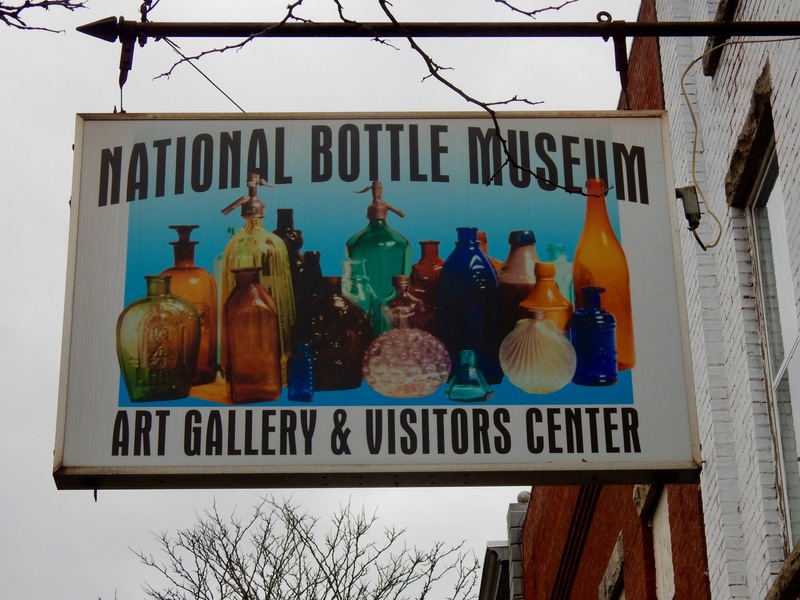 VISIT: National Bottle Museum, Ballston Spa. 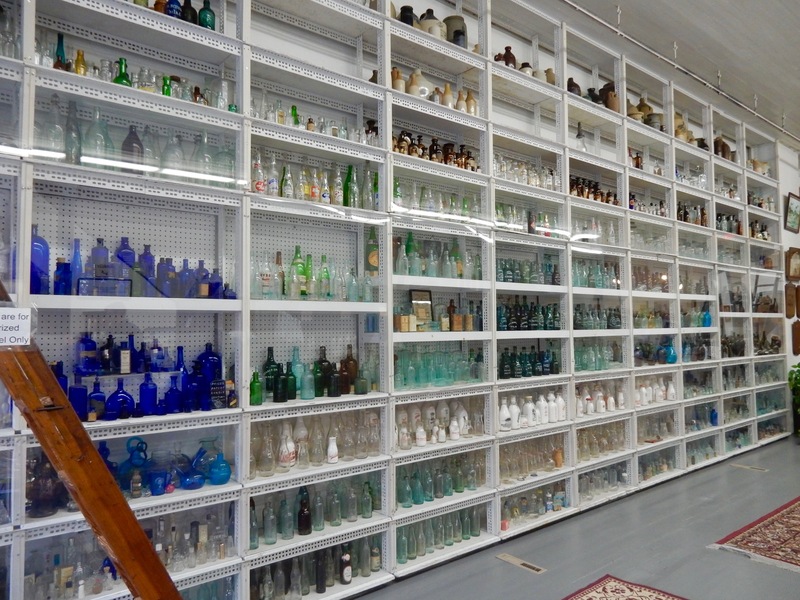 It’s just about 7 miles from downtown Saratoga, but devotees of the offbeat will want to check out this collection of hand-made glass bottles from the early 1700’s to 1903, when industrial machines took over. Why here? Those who believe that Boomers and Gen-Xer’s started the artisanal sparkling water craze (Perrier, anyone? ), think again: between 1823 and 1889, mineral waters from about 30 springs in Saratoga County were bottled and distributed around the world. These special bottles were designed to withstand internal gas pressure and rough handling during shipment – and their distinctive design came to be known as the Saratoga-bottle. In an old 1901 hardware store, floor to ceiling shelves are resplendent with colorful glass from all over the world – and if you can snag the museum director, Gary Moeller, he’ll educate you about the intricacies of glass, including its natural, unadulterated color, and how sunlight can effects that. Though most of the bottles in the museum are from the 1800’s, the oldest in the collection are the aptly named “Dutch Squats” made around 1710-1725. There are bottles of all sorts: ink bottles, flasks (mostly whiskey), beer, soda, and mineral water bottles from the Philly area – all in the same shape. One is emblazoned with the accusation, “Stolen from Wm. S. Cheyney” dating from the days your money bought the contents and not the bottle itself. 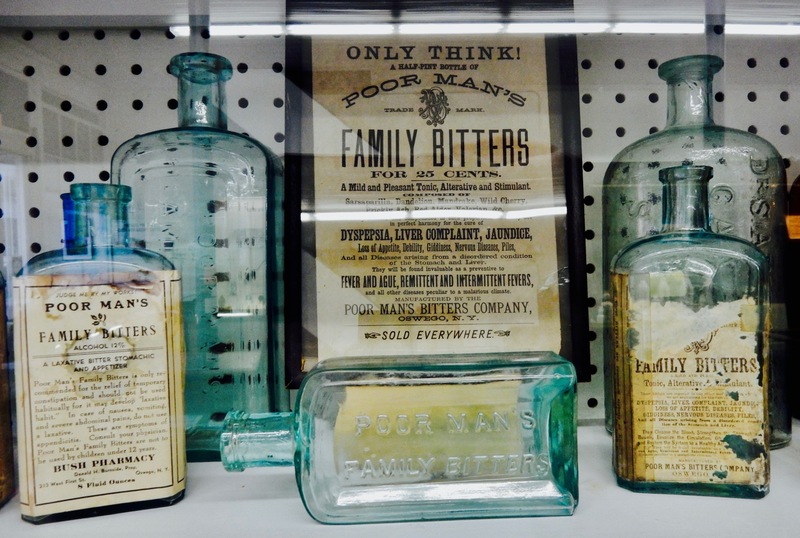 There’s a whole exhibit of Bitters from the “medicinal” era – when the tonic was marketed as a remedy for all that ailed you, including alcoholism. Most blends were a combination of alcohol, morphine, opium, and cocaine, which of course in the short run made people feel better. Each category of bottles is a fascinating jaunt through history – and an engaging way to spend an hour or so. Open 10-4, Oct 1-Dec 31, Tues-Sat, Jan & Feb, Thurs, Fr, Sat, March 1-May 31, Tues-Sat, June 1-Sept 30, Fr-Tues. GOLF: Saratoga National Golf Club. 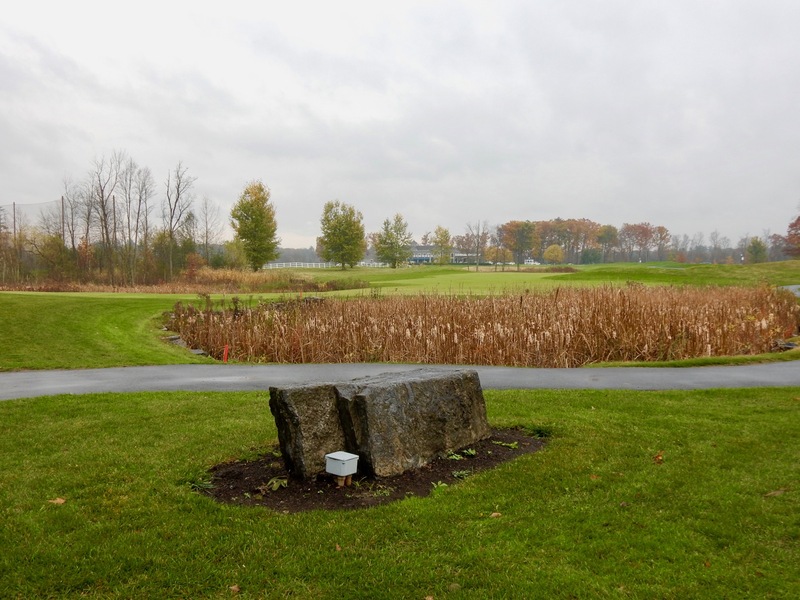 Designed by a Robert Trent Jones affiliate, this challenging 18 hole course is not for beginners. Opened originally as a private club, the course and clubhouse (including a Golf Shop and Prime Restaurant) are now open to the public. Daily fees range from $70 (Spring and Late fall, after 3pm) to $220 during peak time Racing Season, and includes golf cart with GPS yardage system, all day use of practice facility and use of clubhouse amenities. $60 to rent a premier set of clubs, bag and two sleeves of balls. DRIVE: Saratoga Lake. 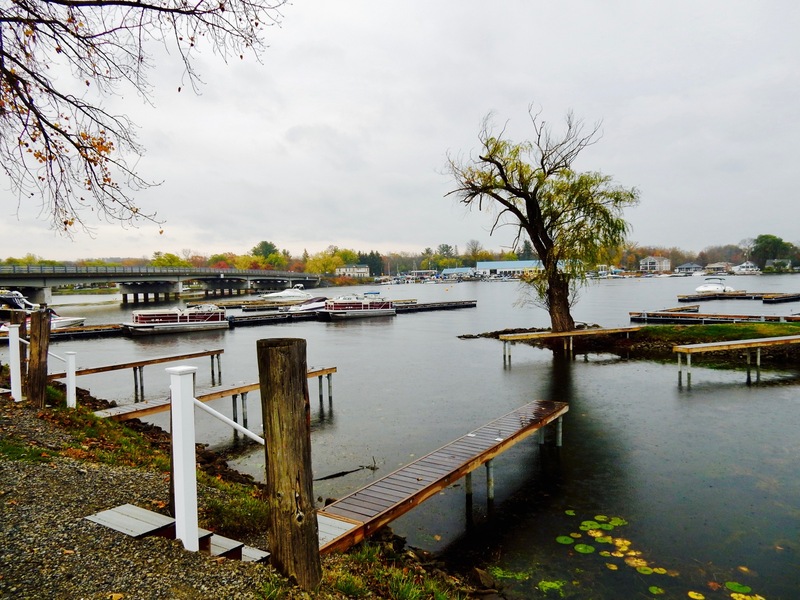 Yep, Saratoga Springs has a body of water – Saratoga Lake is 4.5 miles long and 1.5 miles wide with two beaches and several marinas. At Brown’s Beach, have a bite to eat at Nest – overlooking pleasing lake and shore vistas. DRIVE/WALK: Fans of architecture and design will find nirvana just by walking Saratoga Springs’s residential neighborhoods. Union Ave. is lined with grand homes in Greek Revival, Second Empire, and Queen Anne styles. 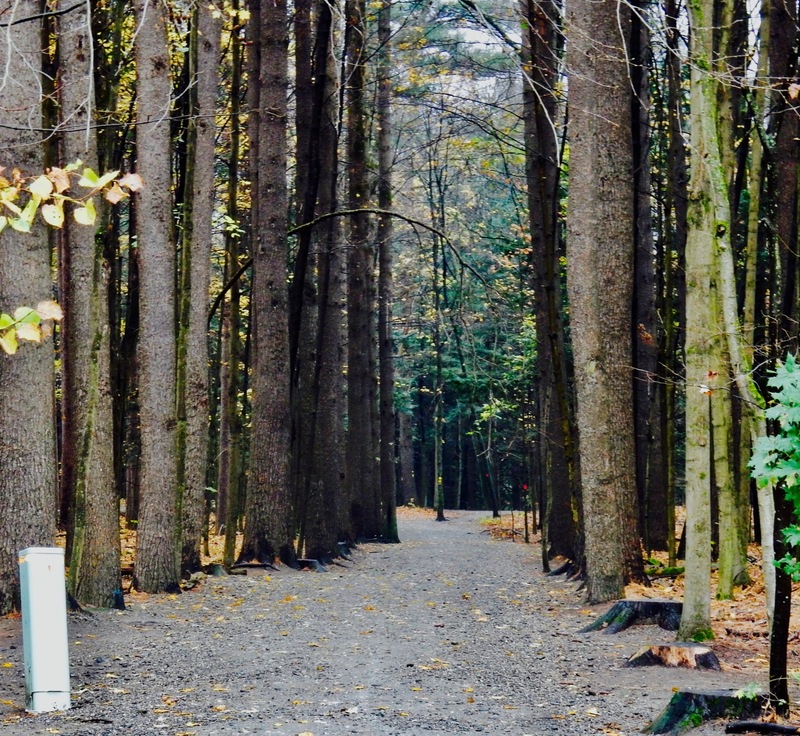 VISIT: Yaddo. Though the mansion itself is off-limits to all but lucky writers-in-residence, the grounds of this beautiful estate are open to the public for free. Katrina and Spencer Trask’s lives were consumed by tragedy and sorrow (their four children died in infancy and childhood) and after her husband was killed in a train accident, Katrina persevered, creating this magical retreat for artists. Wander the gardens, based on Italian Classical layout, with statues, fountains, and a unique 1901 sundial etched with hopeful poetry. TOUR: Saratoga Springs History Museum at the Canfield Casino in Congress Park. 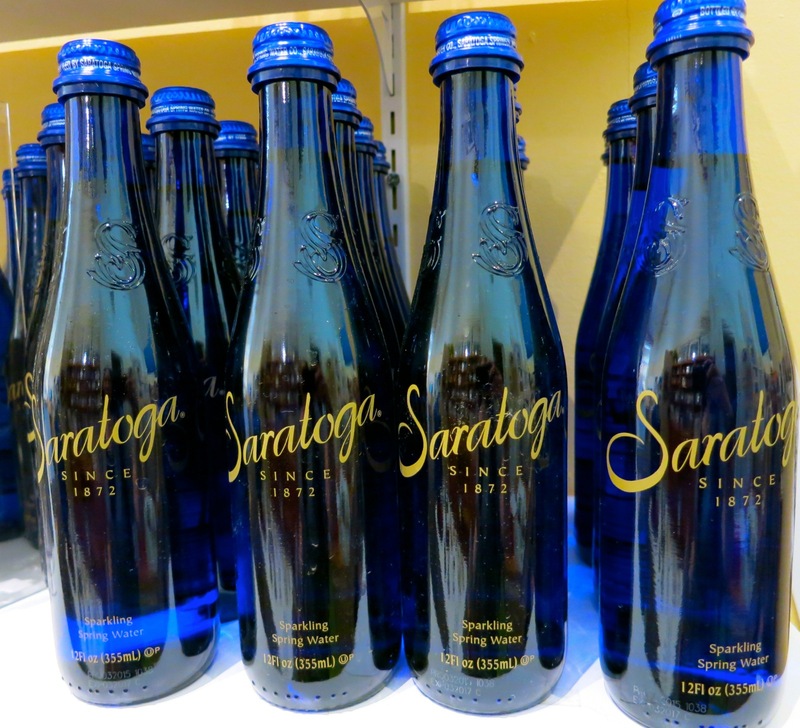 Naturally, the beautifully bottled Saratoga Water comes from here, but did you know that the Christmas-favorite confection – the Peppermint Pig, as well as the potato chip were also invented in Saratoga Springs? As you wander through three floors of this 1870’s gambling casino, you’ll discover the reasons that Saratoga Springs was called “American’s Baden-Baden,” and about the rules and regulations of mid-1800’s lake house casinos in upstate NY. The 3rd floor consists of rooms from the Walworth Mansion, formerly located nearby and demolished in 1955. 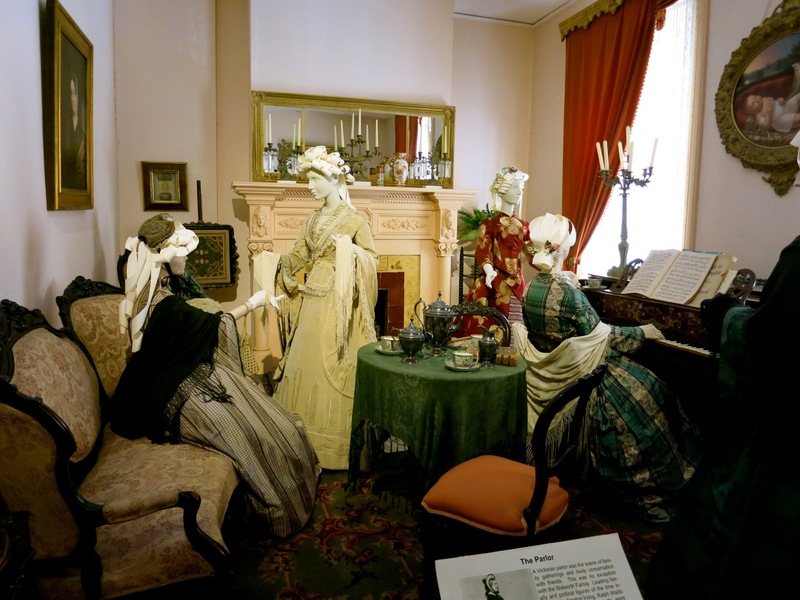 The prominent Walworths entertained the likes of Washington Irving and Ralph Waldo Emerson, and these recreated rooms provide a peek into mid 1800’s grandeur. The 3rd floor is also apparently a hotbed of paranormal activities. The TV show, Ghosthunters, investigated some pretty strange incidents, including the appearance of ghostly figures in Victorian dress, weird fluctuations in temperature, and even invisible slapping. $5, Open Wed-Sun 9-4, and daily in July and August during racing season. VISIT: Tang Art Center on Skidmore College Campus. 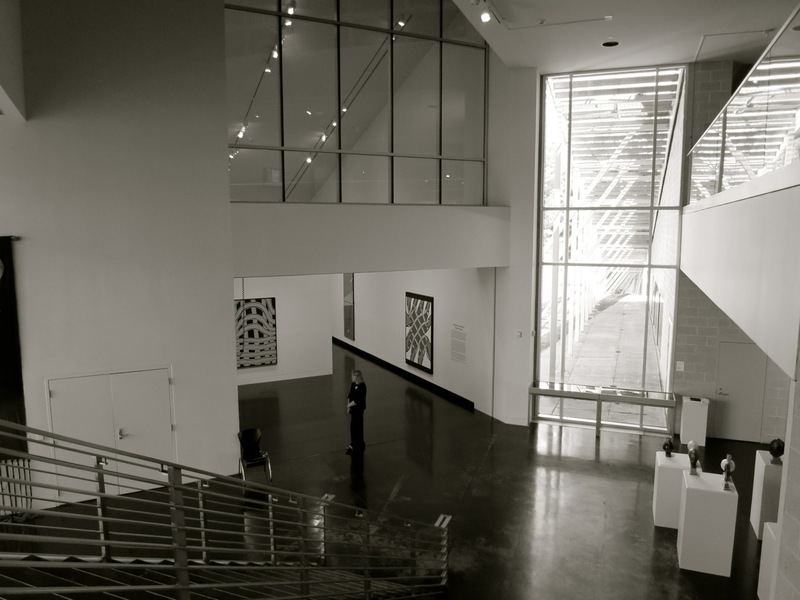 This small, contemporary museum makes for a perfect respite on a hot or rainy day. Most exhibits are temporary, borrowed and based on student art. EAT: Fish @ 30 Lake. Back home from over a decade in Hawaii, Chef Jeff Rayno is skilled in the art of seafood prep – Fish @ 30 Lake is the go-to spot for Raw Bar fans. Dishes like Line Caught Halibut with Skillet Fried Potatoes ($29) hit the mark, but I’d return any time, any day for the Ahi Tuna Nachos for two ($23, holy-moly-amazing), and Truffle Sweet Soy Roasted Brussels Sprouts. Sharing those two dishes with a glass of wine is my idea of the perfect light dinner. EAT: Prime at Saratoga National. The steak here is prime, no lie. 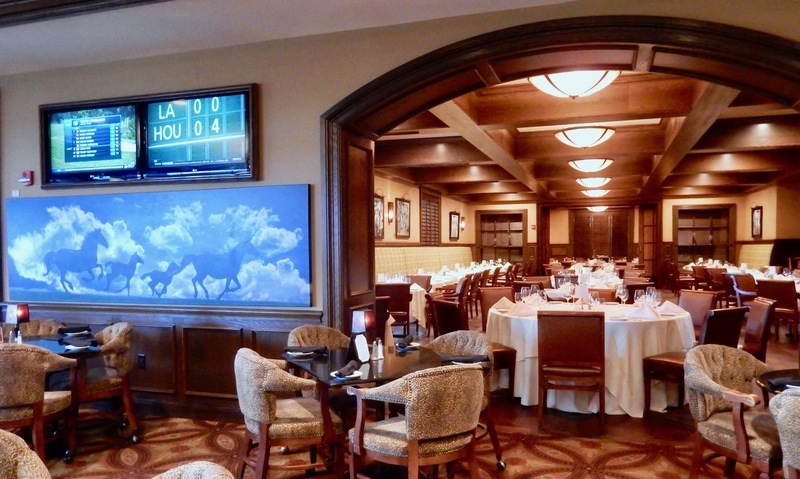 Though a few miles out of town, this clubby, fine dining restaurant, located in a top public Golf Club, is always included in the Best Of Saratoga’s Restaurants list. 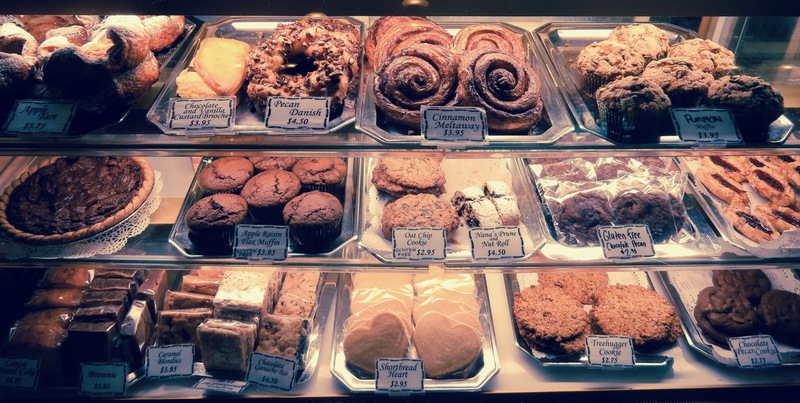 EAT/LUNCH: Mrs. London’s Bakery. The pastries are immense at this long-standing Saratoga favorite, and are perfect after a hot bowl of soup, salad, and/or sandwich, also available here. EAT: As a college, racing, spa town, Saratoga Springs isn’t at a loss for decent restaurants – in fact, there are over 100 of them. 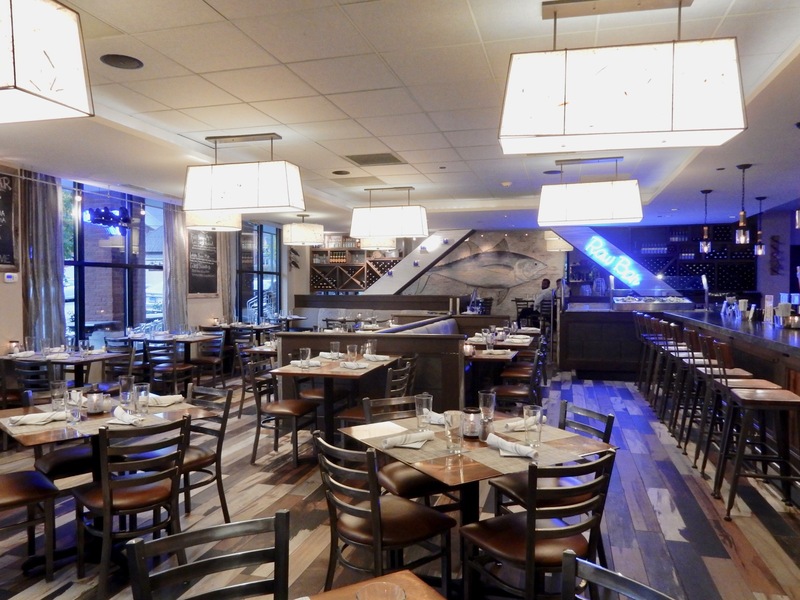 Locals also love Max London’s for pizza and “not overly expensive” fare, Mouzon House for funky artsy New Orleans ambience, Chianti for Italian, Hattie’s for famous fried chicken, and 15 Church, which, according to most, is the best upscale dining in town. 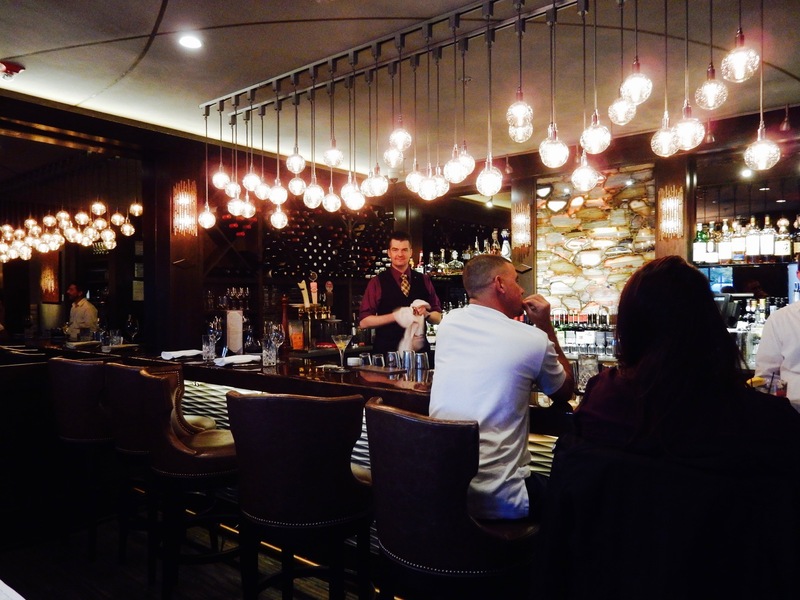 STAY: Adelphi Hotel: Good things come to those who wait. The much-anticipated Adelphi Hotel, meticulously reborn after nearly 5 years, is a brighter, lighter, more splendiferous version of it’s former Victorian self; from lobby to classy, luxurious guestrooms. 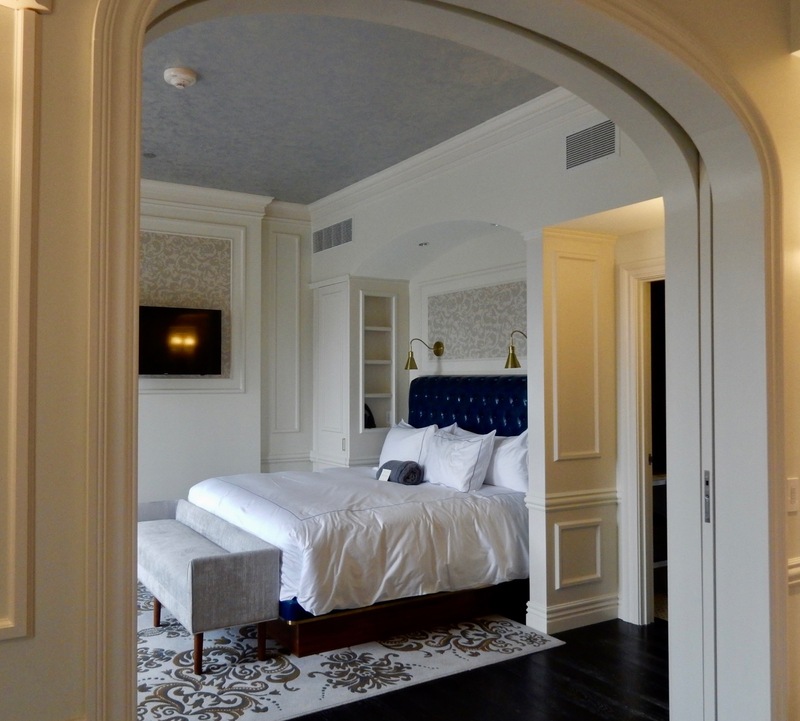 As the highest-end luxury hotel in Saratoga Spring, the Adelphi Hotel is a clear MAVEN FAVORITE, with it’s own write up HERE. STAY: Pavilion Grand Hotel. 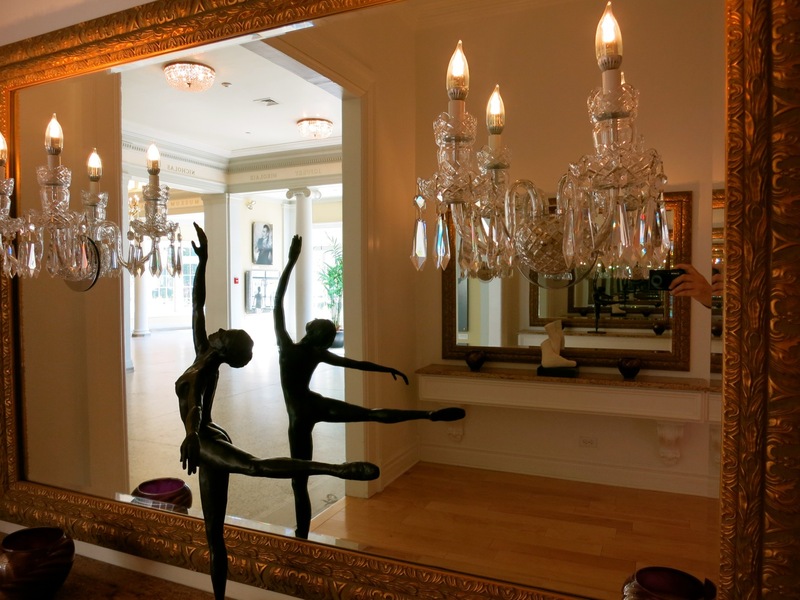 Conceived originally as a luxury condo complex, rooms at this now-boutique hotel are larger than most. Some, like the 2,300 sq ft. two-bedroom, two-level Penthouse Suites – are many times the size of a New York City studio apartment, with appointments that any city (or country) dweller would crave. This hotel is also a Maven Favorite – and more about it can be found in this write-up. Rooms from $127-$300, two-bedroom suites from $500-$1500 during racing season. 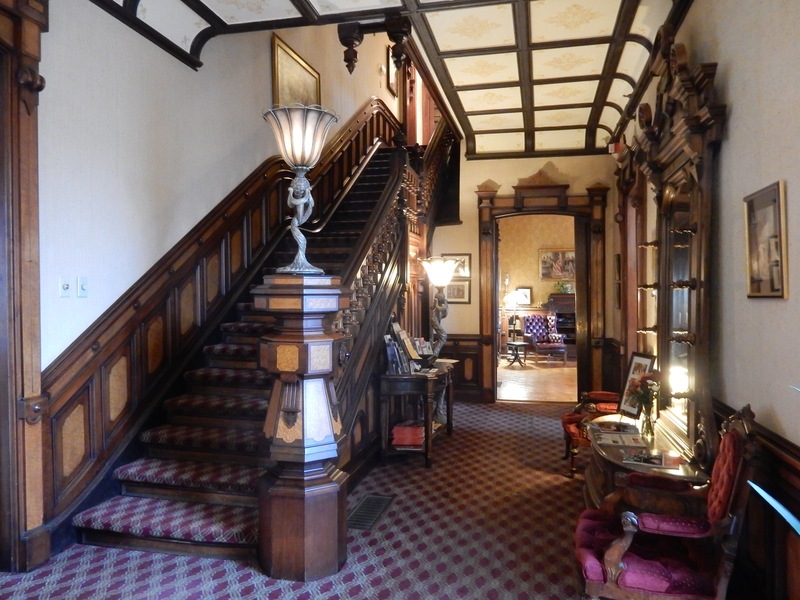 STAY: Gideon Putnam Hotel. If you prefer traditional and iconic, book a room here. 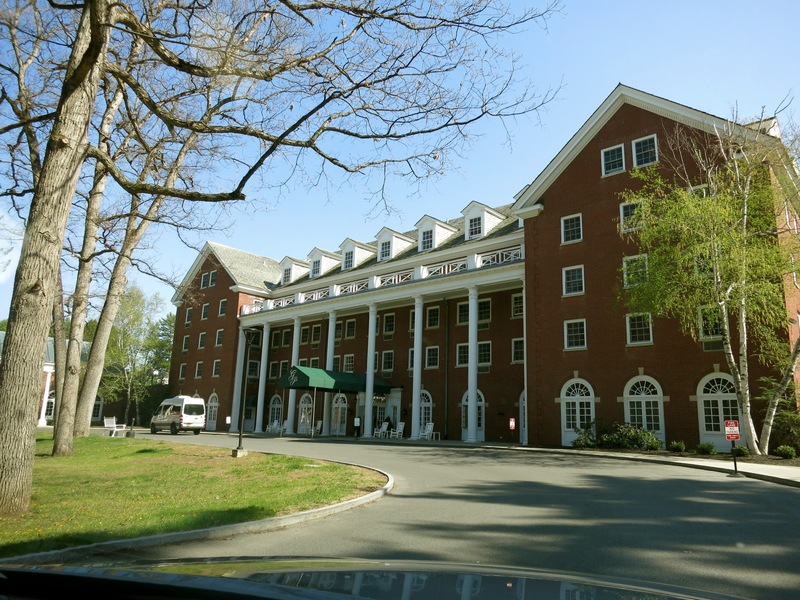 Built in 1935 within the Saratoga Spa State Park, this Grand Dame hotel has gone through several renovations and remains a lasting part of Saratoga Springs hospitality. STAY: Batcheller Mansion. This ornate, baronial home is the first choice for travelers who seek out luxury B&B’s; an alternative to full-service hotels. We also love Uncommon Grounds for excellent coffee and even better bagel sandwiches.